Blogs - Page 2 of 6 - KJ Kuchling Consulting Ltd.
Update: This blog was originally written in March 2016 and has been updated Jan 2019. The mining industry must continually find ways to improve and modernize. The most likely avenue for improvement will be using new technologies as they become available. One of the players on the scene is a start-up company called “MineSense Technologies Ltd.” They are a British Columbia company looking to improve ore extraction and recovery processes based on the sensing and sorting of low-grade ore. They hope their technology will improve mine economics by reducing the consumption of energy, water, and reagents. Having first written about this in 2016, its still not entirely clear to me how developed their technology is in 2019. Thus far they appear to be secretive with respect to their testing and performance results. Certainly they are able to raise financing to keep them going. It appears MineSense is relying on a combination of ground-penetrating sensors with other technology in order to measure and report the grade of ore in real time. Existing ore sorting technologies seem to focus on distinguishing mineralized material from gangue, but MineSense seems to be targeting using actual ore grades as the defining factor. They hope to be able to eventually integrate their technology into equipment such as shovels, scooptrams, conveyors, feeders, and transfer chutes. Their proprietary technology is based on High Frequency Electromagnetic Spectrometry and High Speed X-Ray Fluorescence sensors. Reportedly these can deliver better sensitivity and operate at high speeds. 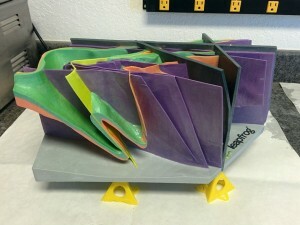 They plan to develop two distinct product lines; shovel-based systems; and conveyor belt-based systems. Their ShovelSense system would be a real-time mineral telemetry and decision system and used for measurement of ore quality while material is being scooped into the dipper, then reporting the ore quality and type to the grade control/ore routing system, and then enabling real-time online ore/waste dispatch decisions. Additional features may include tramp metal and missing tooth detection. Sounds like a good idea, albeit some practical operating issues will need to be overcome. Their belt conveyor systems (BeltSense) will use high-speed multi-channel sensing to characterize conveyed ore and waste in real time, allowing grades and tonnages to be reported and allowing ore to be diverted to correct destinations based on the sensor responses. MineSense say that pilot units are operating at 20 tph and systems of up to 2000 tph are in the development stages. 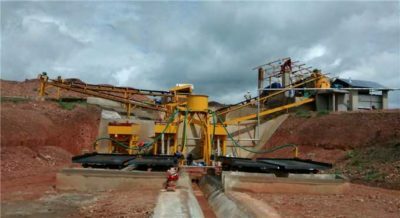 Ore sorting has been around for a long time, with companies like Tomra, but possibly the MineSense technical approach will be different. The bottom line is that we should all keep an eye on the continued development of this technology, especially as MineSense completes larger field trials. Hopefully they will soon share results with industry since it will be critical for operators to see more actual case study data on their website. I recognize that developing new technology will have its successes and failures. Setbacks should not be viewed as failure since innovation takes time. Hopefully after fine tuning their technology they can advance to the commercialization stage. Update: This blog was originally published March 2016. However like all things, the online world keeps evolving. So I have updated Part 1 and Part 2 of the blog (Dec 2018). I added new software suggestions and removed some. As part of a side business, I have been working alongside a team of software developers. It has been a good learning experience for me to see how the tech world does things compared to how the mining industry likes to work. We see a lot of private equity flowing into tech and less into mining, so they must be doing something right. The tech start-up industry has developed its own set of jargon. Common terms are agile management, lean start-ups, disruption, minimum viable products, pings, fail fast, and sprints. Some of their work approaches do not make sense for the mining industry where one doesn’t have the luxury of using trial-and-error and customer feedback to help complete a project. For software, the attitude is get it out the door fast and your customers will then tell you what fixes are needed. In mining you want to get it right the first time. Having said that, some mining people will say they have seen 43-101 technical reports that follow the “wait for customer feedback” model. Now where the tech industry can provide us with some guidance is in the implementation of collaboration tools. It is becoming more common for software developers to work remotely. To collaborate they use the technology available or they develop new technology to meet their needs. Mining teams are also working more and more from remote offices these days. The following is a partial list (Part 1) of free software tools that I have used, mainly because I was forced to. With some hesitation at first, I have subsequently found the tools easy to use. Many of them can definitely be applied in the mining industry with remote and diverse study teams. There are a lot more tech tools out there but my list includes some that I have personally used. 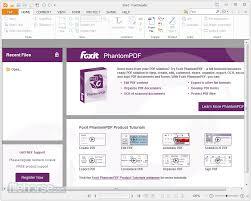 Most of these are free to begin with, and enhanced features are available at a minimal cost. However even the free versions are functional and can be used to build a comfort level in the team. Most of them provide both web based access and mobile access so even when you’re on the road you can still use them and contribute. Trello: If you want to create a “to-do list” or task list for your team, this is the software to use. Imagine a bunch of post-it notes that you can place under different categories, assign persons to each note, attached a file to the note if you wish, and then have back and forth discussions within each note. Once a task is done, just drag the note to another category (e.g. “In Progress”, “Completed”). Anyone on the team can be invited to the Trello Board and can collaborate. 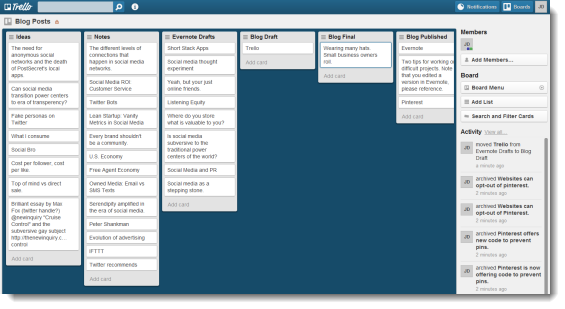 See the image below for an example Trello screenshot. This is a great tool for helping to manage tasks in a mining study. Slack: If you want to maintain a running dialogue of group discussions that invited team members can follow and join in on, then Slack (a Canadian company) is for you. It can replace the long confusing back-and-forth emails that we commonly see. If someone forgets to “reply all” the rest of the team is out of the loop. See the image below for an example Slack screenshot. It’s great for discussions among the team. You can also have private one-on-one discussions or wide open team discussions. You can attach files too and you can get pinged when something new is added. It provides permanent record of conversations and decisions. 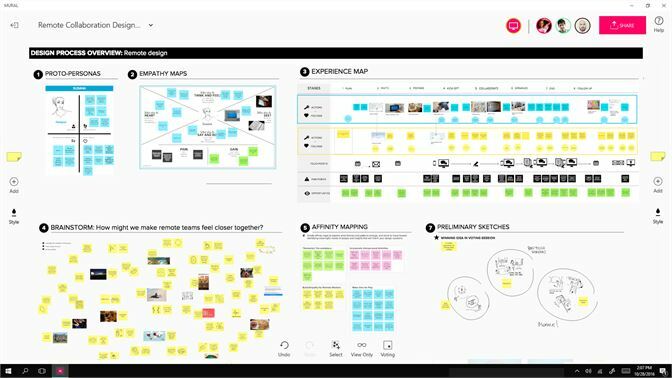 Mural: Mural is a recent innovation to solve the issue that remote teams have of not sitting in the same room and writing ideas down on a whiteboard. For that last while, there was no good white boarding software out there but I understand that Mural fills the gap. i have not used it so cannot vouch for its simplicity, however it seems to be catching with the tech developers. The screenshot below shows the type of inter-actions possble. Each person has access to write on the whiteboard. Basecamp: is similar program to Slack that incorporates features from both the above and some people swear by this tool. I have not personally used it so cannot vouch for it, but some say it is very good. 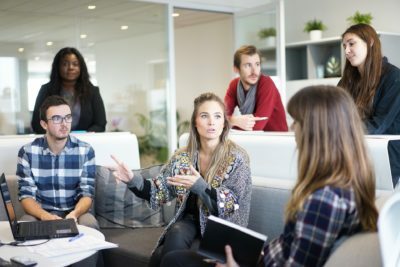 The bottom line is that there is a lot of good stuff out there, readily available, much of it free, and can facilitate collaboration among your teams. Just because its tech industry related, don’t assume it wouldn’t have an application in the mining world. As millennials enter the mining workforce, these tools may gain a foothold. To read about even more collaborative tools, take a look at Part 2 of this blog. Comments on any of the discussions or software are appreciated. After the Mt Polley and Samarco tailings failures, there have been ongoing discussions about the benefits of filtered (dry stack) tailings as the only way to eliminate the risk of catastrophic failure. 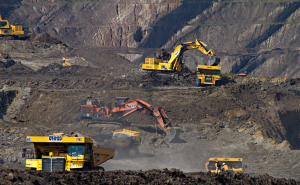 Mining companies would all like to see risk reductions at their projects. 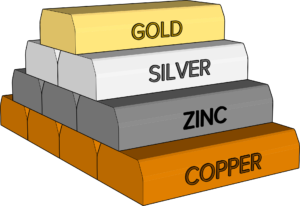 However what mining companies don’t like to see are the capital and operating costs associated with dry stacking. The filtering cost and tailings transport cost are both higher than for conventional tailings disposal. Obviously this cost increase gets offset against improved environmental risk and simpler closure. So what is a company to do? 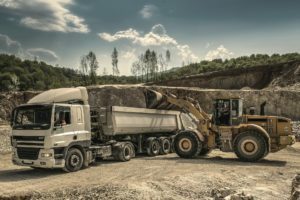 In my experience when designing a new mining project, all companies at some point complete a trade-off study for different tailings disposal methods and disposal sites. Contrary to some environmental narratives, mining companies really do want to know about their different tailings options. They would all adopt the dry stack approach if it was the most advantageous method. The mining companies are fully aware of the benefits but the dilemma is the cost and being able to somehow justify the technology. Complicating their decision, companies also have other options for reducing their tailings risk. The final decision can get complex. In a tailings risk analysis, people will use a risk-weighting approach to assign an expected economic impact to their tailings plans. For example, if the cost of a failure is $200 million and the risk is 0.1%, then the Expected Cost is $200,000. The problem with this is its based on a theoretical calculation on an assumed likelihood of failure. In reality either the dam will fail or it won’t. So failure remediation money will be spent ($200M) or it won’t be spent ($zero), it won’t be partially spent ($200k). 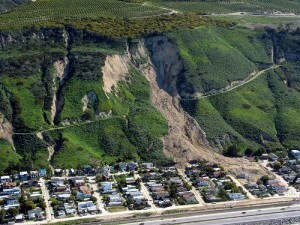 The accepted tailings risk therefore becomes a subjective factor. While implementing a dry stack may reduce the risk of catastrophic failure to near zero, implementing a $100,000 per year monitoring program on a conventional tailings pond will reduce its risk. Implementing a $500,000 per year monitoring program would reduce that risk even further. Installing in a water treatment plant to enable periodic water releases may further lower the tailings risk. The company can look at various mitigation options to keep lowering their risk, although none of the options would necessarily bring the risk down to zero. Ultimately the company could compare the various risk mitigation options against the dry stack costs in order to arrive at an optimal path forward. So the question ultimately becomes how low does one need to reduce the tailings risk before it is acceptable to shareholders, regulators, and the public. I don’t think the answer is that one must lower the risk down to zero. There are not many things in today’s world that have zero risk. Driving a car, air travel, shipping oil by ocean tanker, having a gas furnace in your house..none of these have zero risk yet we accept them as part of living. 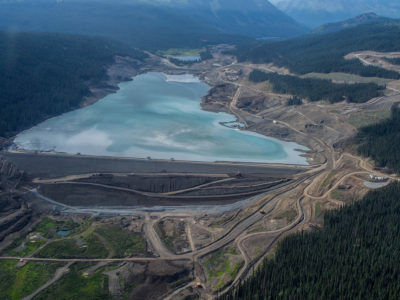 Environmental groups continually discuss ways of forcing regulators and mining companies to take action against the risk of tailings failure. This is commendable. However they generally fail to provide any guidance on what level of risk would be acceptable to them or to the public. It seems to be difficult for these groups to define what an acceptable risk is. They offer no solutions, other than either zero risk or shut down all mining. We know that mining is here to stay so we all should work together towards solutions. The solutions need to be realistic in order to be taken seriously and to play a real role in redefining tailings disposal. Dry stack may not be the only solution and we should be looking for more ways to improve tailings disposal. I have often wondered if any of the smaller gold producers have ever considered modelling their business plan similar to a gold Exchange Traded Fund (“ETF”). This hybrid business model may be a way for companies to provide shareholders a way to leverage themselves to physical gold rather than leveraging to the performance of a mine. Consider two identical small mining companies each starting up a new mine. Their projects are identical; 2 million gold ounces in reserves with annual production rate of 200,000 ounces with a 10 year mine life. On an annual basis, let’s assume their annual operating costs and debt repayments could be paid by the revenue from selling 180,000 ounces of gold. This would leave 20,000 gold ounces as “profit”. The question is what to do with those 20,000 ounces? Company A sells their entire gold production each year. At $1200/oz, the 20,000 oz gold “profit” would yield $24 million. Income taxes would be paid on this and the remaining cash can be spent or saved. 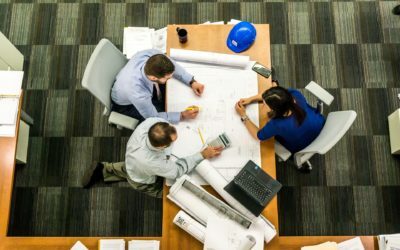 Company A may decide to spend more on head offices costs by adding more people, or they may spend money on exploration, or they could look at an acquisition to grow the company. There are plenty of ways to use this extra money, but returning it to shareholders as a dividend isn’t typically one of them. Now let’s jump forward several years; 8 years for example. Company A may have been successful on grassroots exploration and added new reserves but historically exploration odds are working against them. If they actually saved a portion of the annual profit, say $10M of the $24M, after 8 years they may have $80M in cash reserves. Company B only sells 180,000 ounces of gold each year to cover costs. It puts the remaining 20,000 ounces into inventory. Their annual profit-loss statement shows breakeven status since their gold sales only cover their financial commitments. In this scenario, after 8 years Company B would have 160,000 gold ounces in inventory, valued at $192 million at a $1200 gold price. If you’re an investor looking at both these companies in the latter stages of their mine life, which one would you rather invest in? 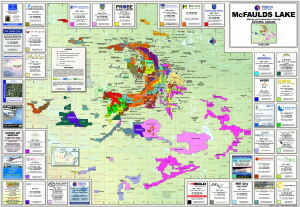 Company A has 400,000 ounces (2 years) remaining in mineral reserves and $80M cash in the bank. 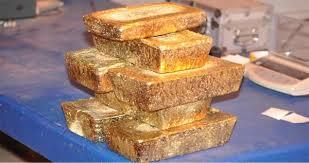 Company B also has 400,000 ounces of mineral reserves and $192 million worth of gold in the vault. If I’m a bullish gold investor and foresee a $1600/oz gold price, then to me Company B might theoretically have $256M in the vault (160k oz x $1600). If I’m a super bullish, their gold inventory could be worth a lot more..theoretically. I assume that the enterprise value (and stock price) of Company A would be based on its remaining reserves at some $/oz factor plus its cash in the bank. Company B could be valued the same way plus its gold inventory. So for me Company B may be a much better investment than Company A in the latter stages of its mine life. In fact Company B could still persist as an entity after the mine has shutdown simply as a “fund” that holds physical gold. If I am a gold investor, then Company B as an investment asset might be of more interest to me. If Company A had good exploration results and spend money wisely, then it may have more value but not all companies are successful down this path. It appears that most of the time companies sell their entire annual gold production to try to show profit on the annual income statement. This puts cash in the bank and shows “earning per share”. My question is why not stockpile the extra gold and wait for gold prices to rise? This might be an option if the company doesn’t really need the money now or doesn’t plan to gamble on exploration or acquisitions. This concept wouldn’t be a model for all small miners but might be suitable for a select few companies to target certain types of gold investors. They could provide an alternative mining investment that might be especially interesting in the last years of a mine life. Who really wants to buy shares in a company who’s mine is nearly depleted? 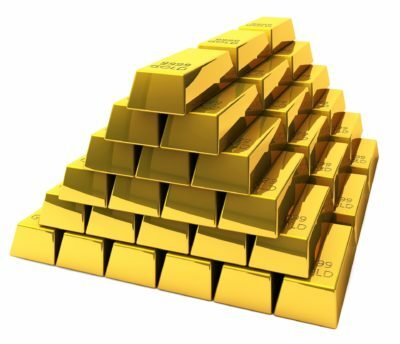 I might buy shares, if they still hold a lot of gold. When metals prices are high, we are generally told that we should lower the cutoff grade. Our cutoff grade versus metal price formula tells us this is the correct thing do. Our grade-tonnage curve reaffirms this since we will now have more ounces of gold in the mineral reserve. But is lowering the cutoff grade really the right thing to do? Books have been written on the subject of cutoff grades where readers can get all kinds of detailed logic and calculations using Greek symbols (F = δV* − dV*/dT). Here is one well known book by Ken Lane, available on Amazon HERE. Recently we have seen a trend of higher cash costs at operating mines when commodity prices are high. Why is this? It may be due to higher cost operating inputs due to increasing labour rates or supplies. It may also be partly due to the lowering of cutoff grades. This lowers the head grade, which then requires more tonnes to be milled to produce the same quantity of metal. A mining construction manager once said to me that he never understood us mining guys who lower the cutoff grade when gold prices increase. His concern was that since the plant throughput rate is fixed, when gold prices are high we suddenly decide to lower the head grade and produce fewer and higher cost ounces of gold. His point was that we should do the opposite. When prices are high, we should produce more ounces of gold, not fewer. In essence, periods when supply is low (or demand is high) may not be the right time to further cut supply by lowering head grades. Now this is the point where the grade-tonnage curve comes into play. Certainly one can lower the cutoff grade, lower the head grade and produce fewer ounces of gold. The upside being an extension in the mine life. A company can report more ounces in reserves and perhaps the overall image of the company looks better (if it is being valued on reserves). What if metal prices drop back? The problem is that there is no guarantee that metal prices will remain where they are and the new lower cutoff grade will remain where it is. If the metal prices drop back down, the cutoff grade will be increased and the mineral reserve will revert back to where it was. All that was really done was accept a year of lower metal production for no real long term benefit. This trade-off contrasts a short term vision (i.e. maximizing annual production) against a long term vision (i.e. extending mineral reserves). The bottom line is that there is no simple answer on what to do with the cutoff grades. Hence there is a need to write books about it. 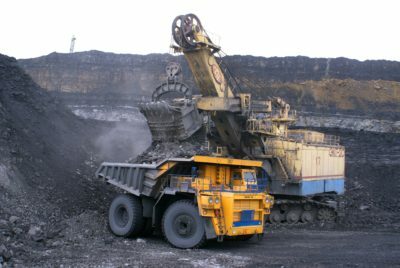 Different companies have different corporate objectives and each mining project will be unique with regards to the impacts of cutoff grade changes on the orebody. I would like to caution that one should be mindful when plugging in new metal prices, and then running off to the mine operations department with the new cutoff grade. One should fully understand both the long term and short term impacts of that decision. Update: This blog was originally written in Feb 2016, but has been updated in Dec 2018. As a reminder for all QP’s doing economic analysis for PEA’s, don’t forget that one needs to present the economic results on an after-tax basis. Every once in a while I still see PEA technical reports issued with only pre-tax financials. That report is likely to get red- flagged by the securities regulators. The company will need to amend their press release and technical report to provide the after tax results. No harm done other than some red faces. 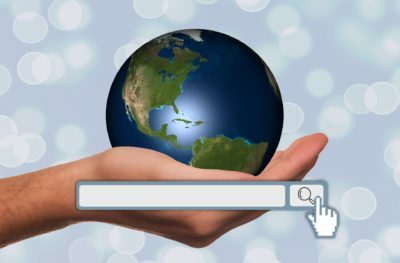 When doing a tax calculation in your model, where can you find international tax information? PWC has a very useful tax-related website. The weblink below was sent to me by one of my industry colleagues and I thought it would be good to share it. On the site they have a searchable database for tax information for specific countries. PWC has a great web site and hopefully they will keep the information up to date since tax changes happen constantly. It would be nice to see them add more countries to their 23 country database but it’s already good. Check it out. Question: How important is the integrity of a tailings dam to the successful operation of a mine? Tailings dam stability is so important that in some jurisdictions regulators may be requiring that mining companies have third party independent review boards or third party audits done on their tailings dams. The feeling is that, although a reputable consultant may be doing the dam design, there is still a need for some outside oversight. Differences in interpretation, experience, or errors of omission are a possibility regardless of who does the design. Hence a second set of eyes can be beneficial. Is the resource estimate important? Next question is how important is the integrity of the resource and reserve estimate to the successful operation of a mine? Answer: Very important. The mine life, project economics, and shareholder value all rely on it. So why aren’t a second set of eyes or third party audits very common? In the years prior to 43-101, junior mining companies could produce their own resource estimates and disclose the results publicly. With the advent of NI 43-101, a second set of eyes was introduced whereby an independent QP could review the company’s internal resource and/or prepare their own estimate. Now the QP ultimately takes legal responsible for the estimate. 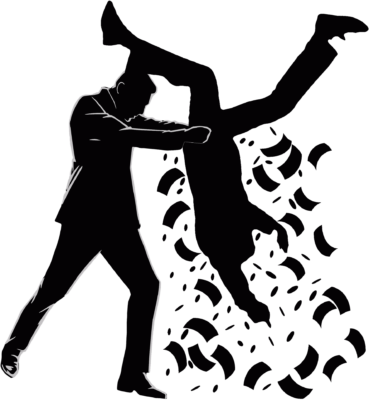 Nowadays most small companies do not develop their own in-house resource estimates. The task is generally awarded to an independent QP. Possibly companies don’t prepare their own resource estimates due to the specialization needed in modelling and geostatistics. Maybe its due to the skills needed to operate block modeling software. Maybe the companies feel that doing their own internal resource estimate is a waste of time since an independent QP will be doing the work anyway. The QP is the final answer..or is it? Currently it seems the project resource estimate is prepared solely by the QP or a team of QP’s. In most cases this resource gets published without any other oversight. In other words no second set of eyes has taken a look at it. We assume the QP is a qualified expert, their judgement is without question, and their work is error free. As we have seen, some resources estimates have been mishandled and disciplinary actions have been taken against QP’s. The conclusion is that not all QP’s are perfect. Just because someone meets the requirements to be a Competent Person or a Qualified Person does not automatically mean they are competent or qualified. 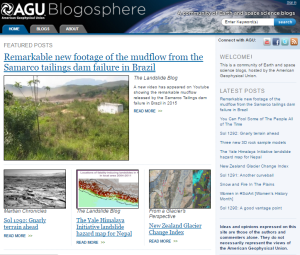 Geological modeling is not an exact science and will be based on their personal experience. The question being asked is whether it would be good practice for companies to have a second set of eyes take a look at their resource estimates developed by independent QP’s? Where I have been involved in due diligence for acquisitions or mergers, it is not uncommon for one side to rebuild the resource model with their own technical team. They don’t have 100% confidence in the original resource handed over to them. The first thing asked is for the drill hole database. One downside to a third party review is the added cost to the owner. Another downside is that when one consultant reviews another consultant’s work there is a tendency to have a list of concerns. Some of these may not be material, which then muddles the conclusion of the review. On the positive side, a third party review may identify serious interpretation issues or judgement decisions that could be fatal to the resource. If tailings dams are so important that they require a second set of eyes, why not the resource estimate? After all, it is the foundation of it all. Update: This blog was originally written in January 2016, and has been updated for Jan 2018. 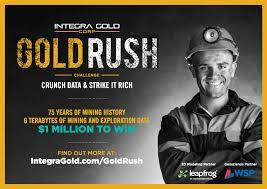 In 2016 at PDAC, Integra Gold held the first the Gold Rush Challenge. It was an innovative event for the mining industry. It was following along on the footsteps of the Goldcorp Challenge held way back in 2001. The Integra Gold Rush Challenge was a contest whereby entrants were given access to a geological database and asked to prepare submissions presenting the best prospects for the next gold discovery on the Lamaque property. Winners would get a share of the C$1 million prize. Integra Gold hoped that the contest would expand their access to quality people outside their company enabling their own in-house geological team to focus on other exploration projects. In total 1,342 entrants from over 83 countries registered to compete in the challenge. A team from SGS Canada won the prize. In 2017, its seem the next step in the innovation process was the creation of Disrupt Mining sponsoerd by Goldcorp. Companies and teams developing new technologies would compete to win a $1 million prize. In 2017, the co-winning teams were from Cementation Canada (new hoisting technology) and Kore Geosystems (data analystics for decision making). In 2018, the winning team was from Acoustic Zoom, an new way to undertake seismic surveys. The 2019 winners will be announced at PDAC. The entry deadline has passed so you’re out of luck for this year. At PDAC there are always a lot of things to do, from networking, visiting booths, presentations, trade shows, gala dinners, and hospitality suites. 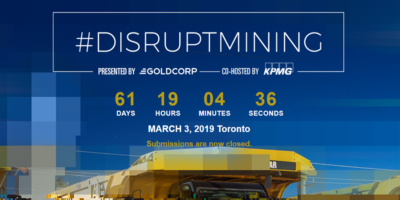 Now Disrupt Mining brings another event for your PDAC agenda.